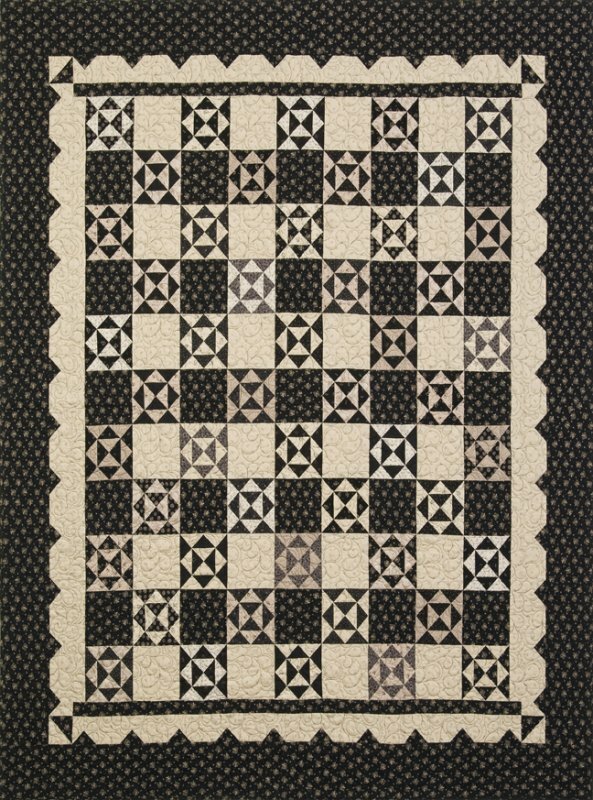 This fun quilt features a dramatic, yet easy block to perfectly accentuate the contrast between the light and dark prints! The creative pieced border makes the quilt appear to have a scalloped border on the inside of the quilt itself! Made with my American Gothic fabric collection for Marcus Fabrics, the classic reproduction prints in the line are showcased in this modern pieced and rotary cut quilt. The quilt pattern features two sized quilts with the larger version measuring 75" x 87", and the smaller version measuring 60" x 72".